Microsoft Outlook is a personal information manager from Microsoft. The latest version is microsoft outlook 2016 and it is available as standalone and with microsoft office 2016 suite. It also includes a task manager, contact manager,calendar and note taking. 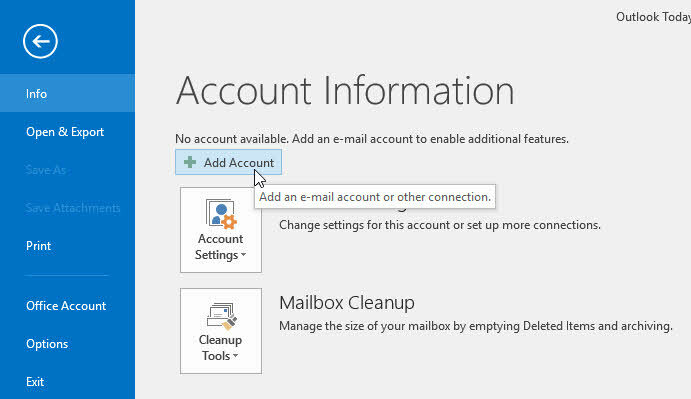 In this post we will see how to add a new email account in Microsoft Outlook 2016. 1.Open Microsoft Outlook 2016 and click the File menu from top. 2.Then click the Add Account button. 3. Then enter your Name, email, and password and click the next button. 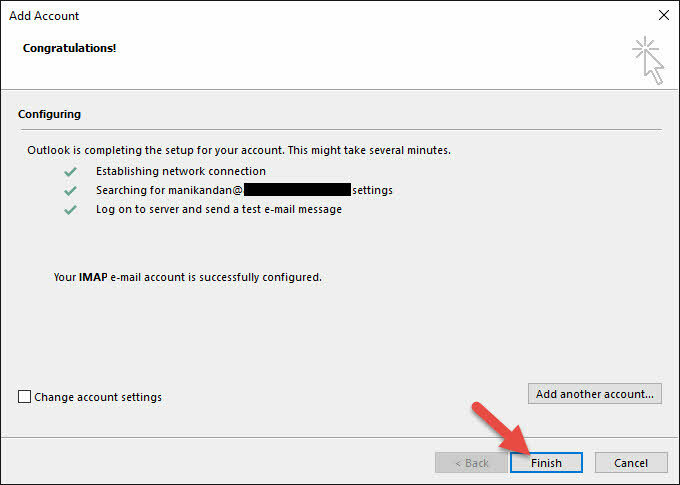 It will configure your mail account,please just wail. After the successful configuration click the Finish button. 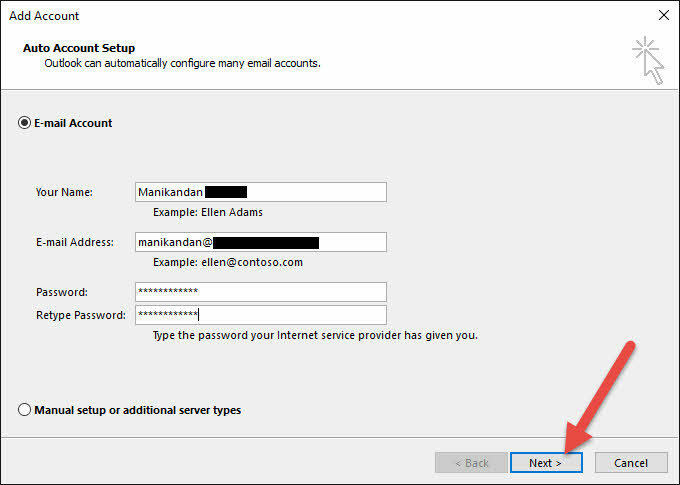 After the successful login you will receive a test message from microsoft outlook.